This shot looks quite Mediterranean, doesn't it? 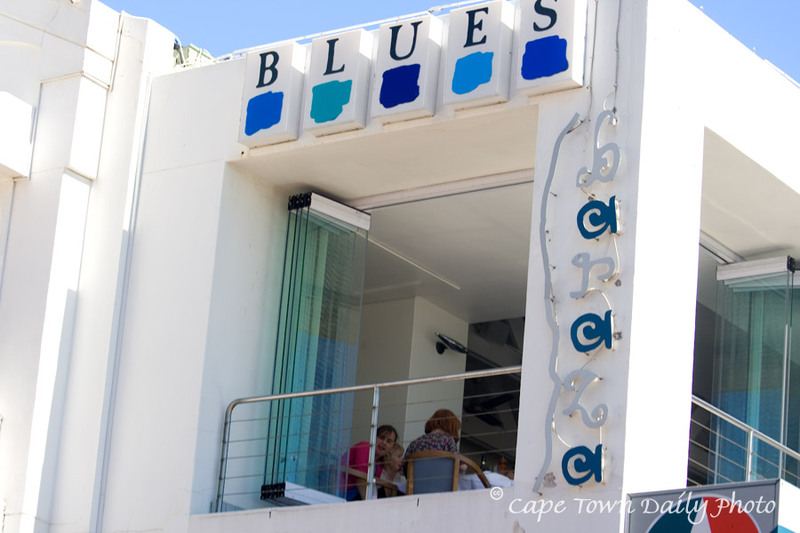 Of course it's not, though - as I expect any Capetonian would be able to tell you, Blues Restaurant is situated on Victoria Road in Camps Bay, overlooking the beach. Most would probably also tell you that it's one of the pricier restaurants in Cape Town. We haven't ever eaten there, but will remedy that soon (when we're feeling flush) and report back on the experience. I didn't realise that it had been around quite as long as it has - the restaurant apparently celebrated its 20th anniversary not too long ago. The sign on the pillar is for Baraza, a Zanzibar-inspired cocktail bar - according to their website, "baraza" means "meeting place" in Swahili. If you've been to either establishment, please leave a comment and let us know what your experience was like. Posted in General on Friday, 22 February, 2008 by Paul.